Sprinkler Systems in Idaho Falls | YardTech, Inc. 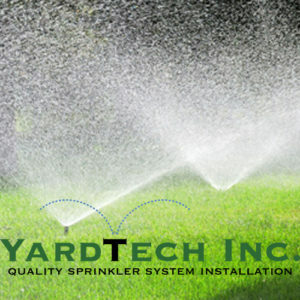 The professionals at Yardtech Inc. have been installing sprinklers for over ten years. 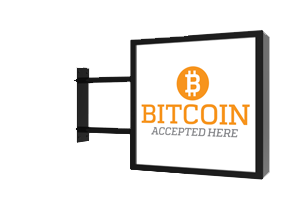 We only use the latest products and technology. Tired of that outdated sprinkler timer? Ask about WiFi models that can be controlled using a smartphone. Also ask about the latest innovation in sprinkler technology that will revolutionize the industry and save up to 50% on water consumption. This will be important in light of the coming regulation on water usage. If you’re a Star Pest Control or Yardtech customer and already have a sprinkler system, receive a 10% discount on the first pest or lawn application by just referring our name to a friend or neighbor! Also, ask about our sprinkler maintenance programs, which include start up, repair, back flow testing, and winterization! 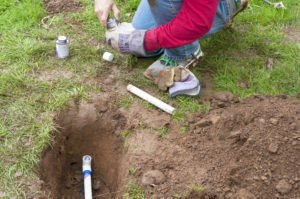 Sprinkler Repair — We repair anything and everything that could possibly go wrong with a sprinkler system: Clocks, valves, sprinkler heads, back flow valves, mainlines, and underground water valves (curb stops that are buried 4 to 6 six underground). We diagnose & repair wiring problems, pipe sizing and hydraulic issues, sprinkler placement and accuracy problems, dry spots, domestic well pumps that cycle continuously because of poor sprinkler design, and more. We offer free estimates on all services and usually charge $60/per hour plus parts. We have 9 years experience in sprinkler repair & design and have done many jobs requiring us to add additional lines & zones, replace entire mainlines that were sized wrong, or totally revamp and redesign a poorly designed system. We know how frustrating sprinkler problems can be so why not let a professional with years of experience take care of your sprinklers for you. Sprinkler Installation — We having many years experience installing new sprinkler systems. Our new sprinkler systems come with a full year warranty on all parts and labor (including call backs for dry spots or adjustment needs), and a three-year warranty on name brand parts such as Hunter/Rainbird clocks, valves, & sprinkler heads. We strategically place our heads closer together than our competition because we know that windy days in Idaho can wreak havoc on sprinkler uniformity and accuracy. We guarantee no dry spots! We understand mainline hydraulics and before we pull any pipe or install anything at all we test your water pressure and volume at the source. This helps us know what size mainline to install to optimize the amount of water distribution that needs to get to your lawn and landscape. We offer free estimates and consultation on sprinkler installs. In fact, we understand that there are customers out there who desire to save money by doing some of the work themselves. For these customers we have a comprehensive sprinkler design and layout plan which includes designing the system, pulling the pipe, installing the main valves (whether in the mechanical room or underground), giving the customer a list of the parts needed (which they can buy from us or purchase from a vendor of their choice), instructing them on how to properly install heads, valves, clocks, fittings, and being available to answer questions. We also give the option of having one of our service technicians come out and install the more complicated items such as timers, zone valves, and electrical wiring (fees apply for this service).